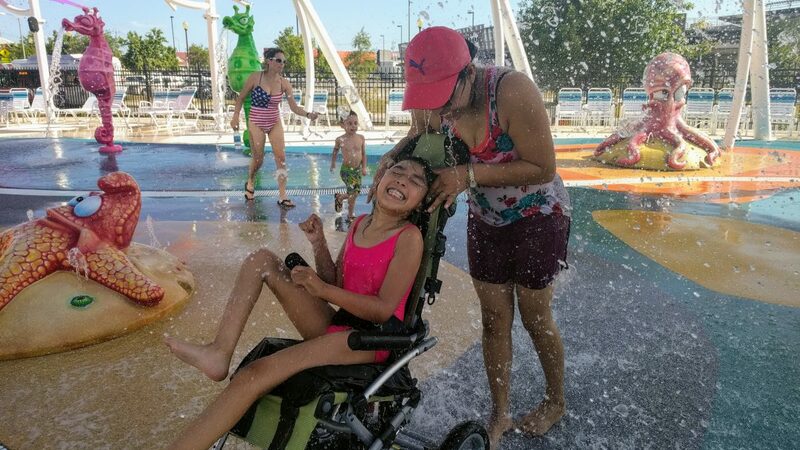 What better way to kick off a hot August day than a day at Morgan's Wonderland, the world's first amusement park designed by and for people with special needs? 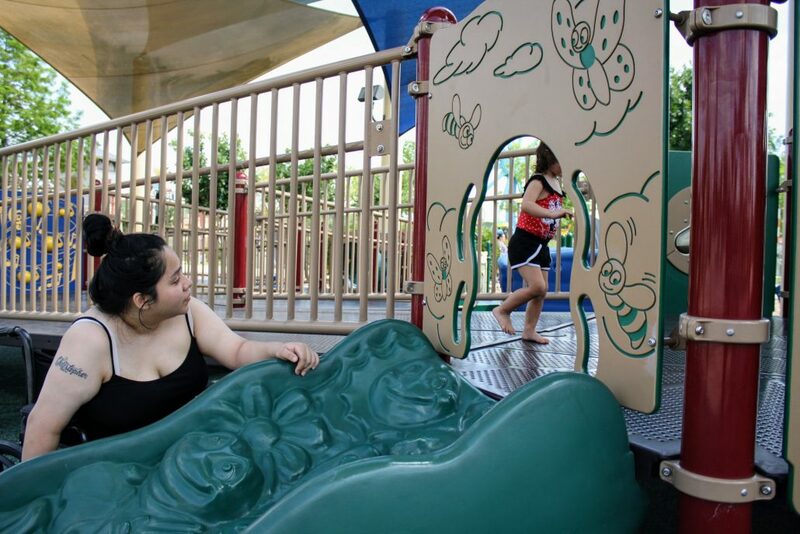 Morgan’s Wonderland in San Antonio, Texas, is the first theme park of its kind in the world to be designed for people with special needs. 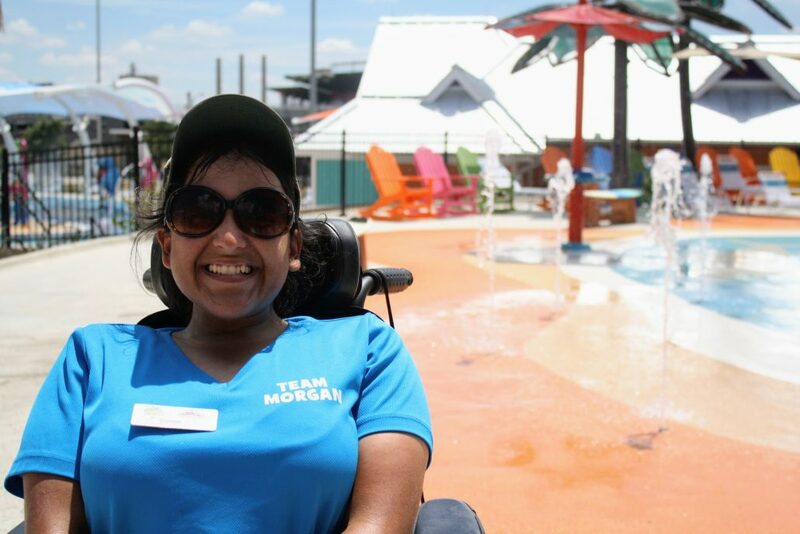 This summer, the organization set another world record, opening Morgan’s Inspiration Island, the first fully accessible waterpark. 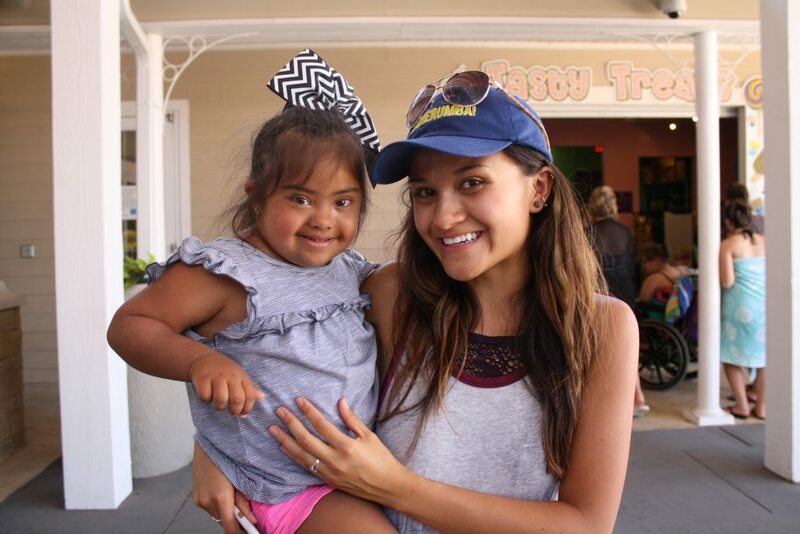 A nonprofit organization that is bolstered by corporate and community sponsorships as well as a significant base of volunteers, Morgan’s Wonderland has always given free admission to guests with special needs—no questions asked—and hires a significant number of staff members with disabilities. 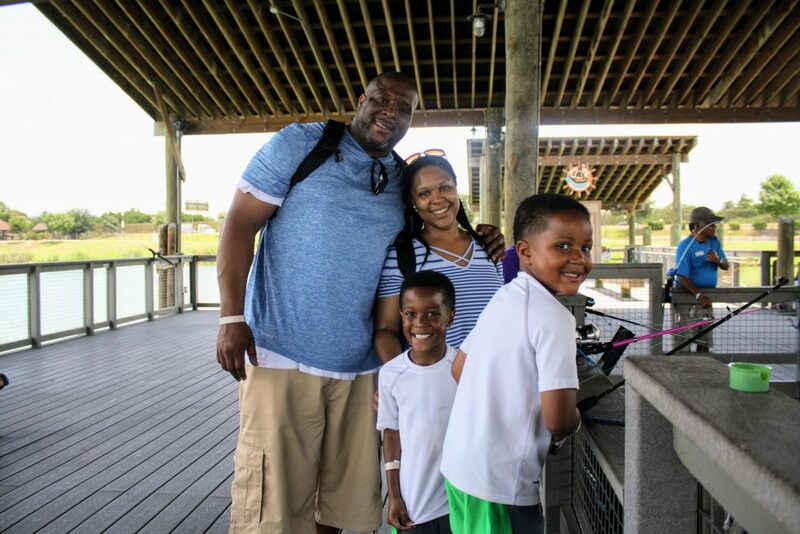 That sets the stage for people experiencing some things for the first time—riding a ferris wheel or a carousel, even the simple pleasure of swinging on a swing—and getting to do so among friends and family members. The excitement is palpable. 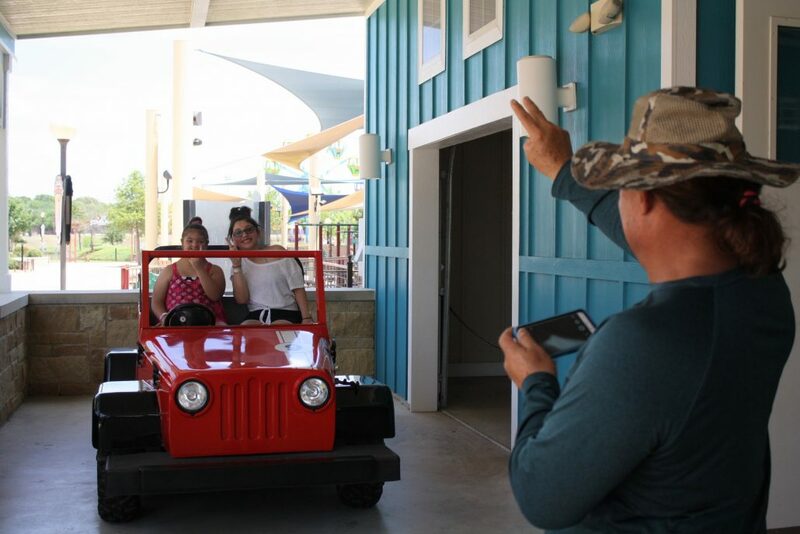 Folks spent a day at Morgan’s Wonderland and its brand new waterpark to capture a slice of that joy. 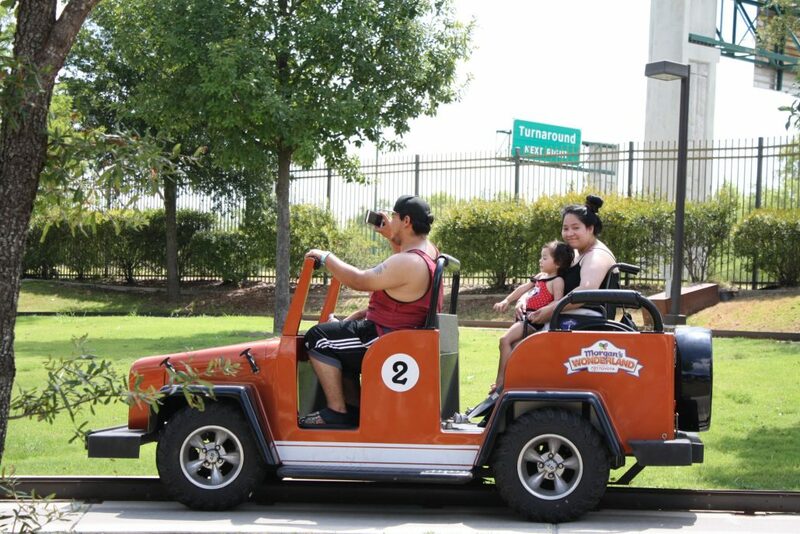 The rides at Morgan’s Wonderland, including a ferris wheel, carousel, train, swings and these off-road adventure cars, are all equipped for wheelchairs. 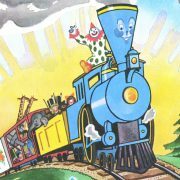 Has it been a long time since you’ve been able to go on rides? — Ray Longserre, who traveled with a group of residents from a memory care facility in San Antonio. I’m sure you experience a lot of powerful moments here. 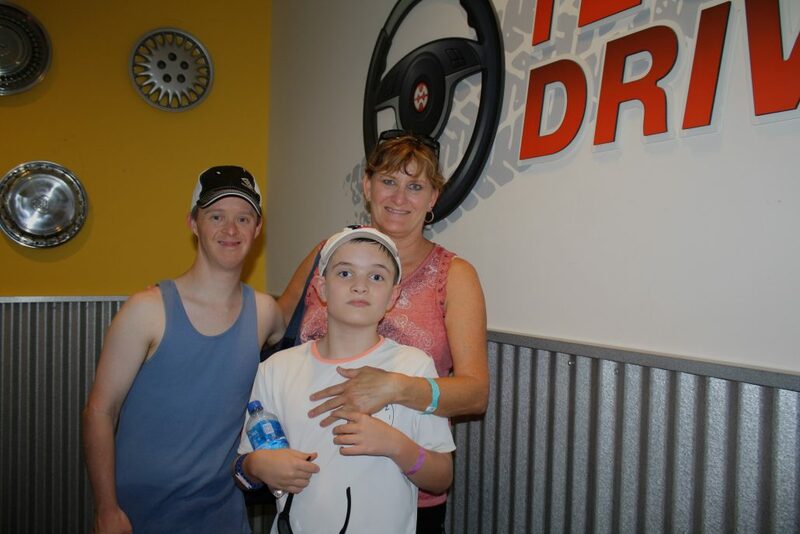 Donna Brandel, a speech therapist, was visiting Morgan’s Wonderland with her nephew Logan, 12, and client Jonathan Teague of Pflugerville. 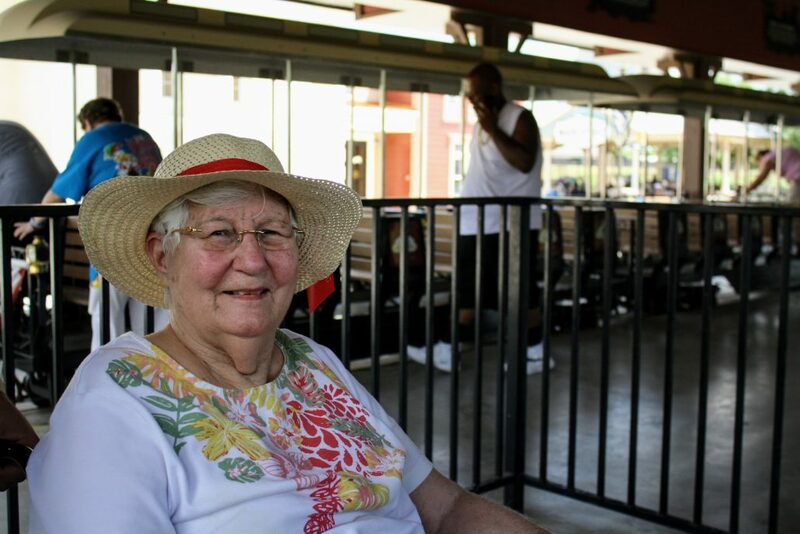 Morgan Hartman, the namesake of Morgan’s Wonderland inspired her parents Gordon and Maggie Hartman to create the theme park in 2005, following a vacation where couple saw that other kids weren’t interested in interacting with their daughter because of her physical and cognitive challenges. 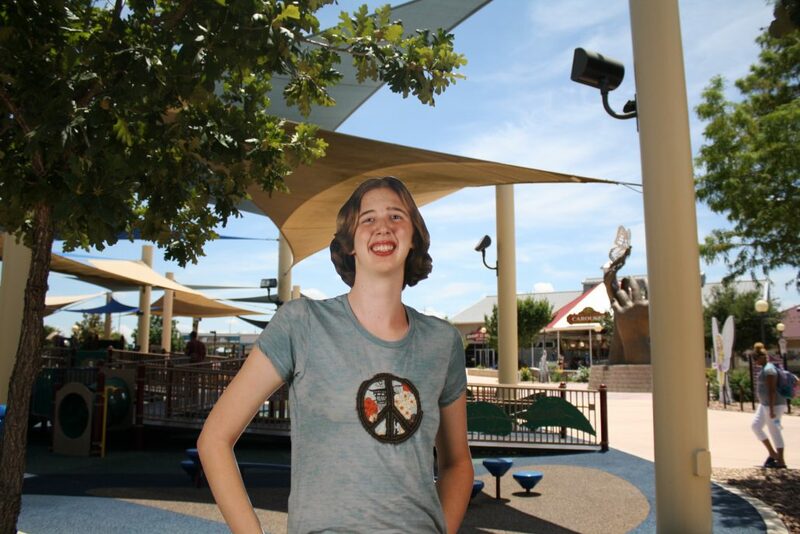 Their dream was to create a truly inclusive, welcoming environment for everyone. 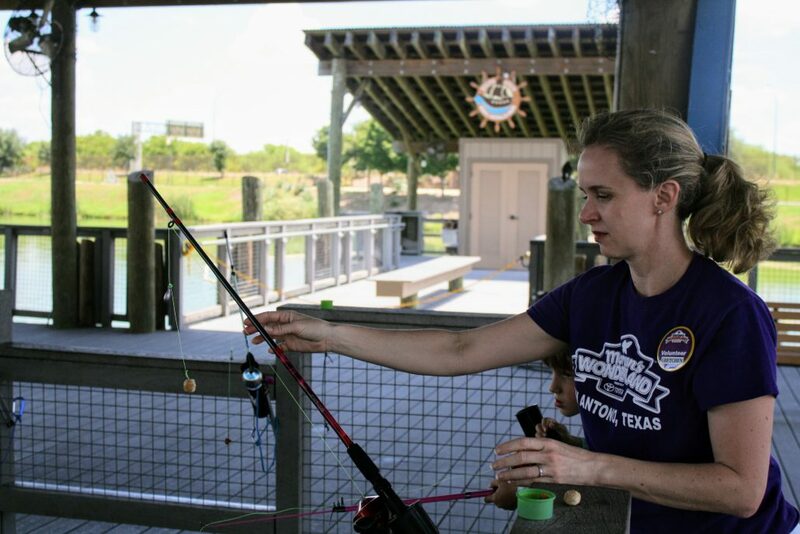 About one-third of Morgan’s Wonderland staff members have special needs themselves. 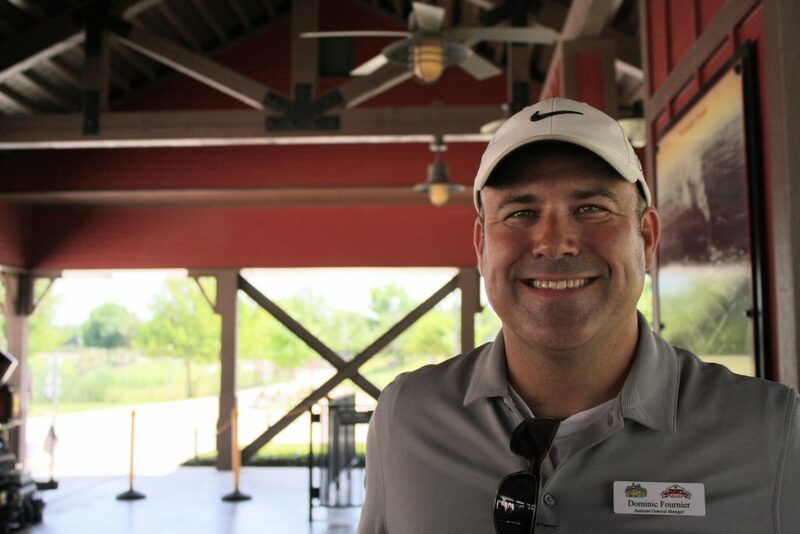 Administrators say this is an important aspect of “walking the talk” and providing positive role modeling examples for children with disabilities to see people like themselves in leadership roles. — Connie Sauceda, 21, of San Antonio, a staff member since March. Morgan’s Wonderland is her first job. Morgan’s Wonderland worked with researchers from the University of Pittsburgh to design a brand new waterproof wheelchair that uses compressed air instead of batteries. It contains no electronic components so that it can be fully submerged in water. 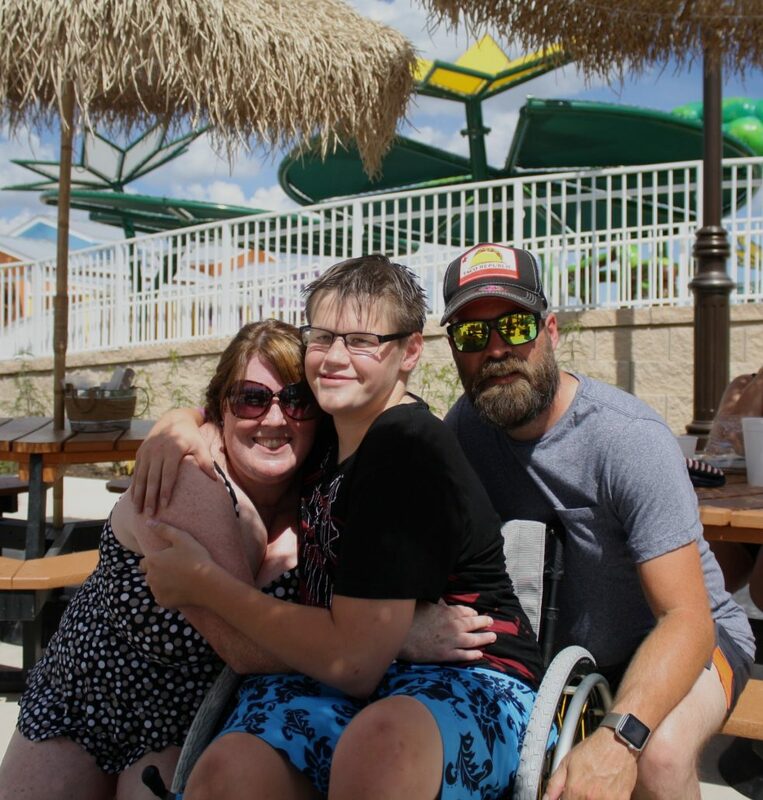 Sam Carver, 16, visited Morgan’s Inspiration Island with his parents, Denise Johnson and Darin Johnson from Wentzville, Missouri. 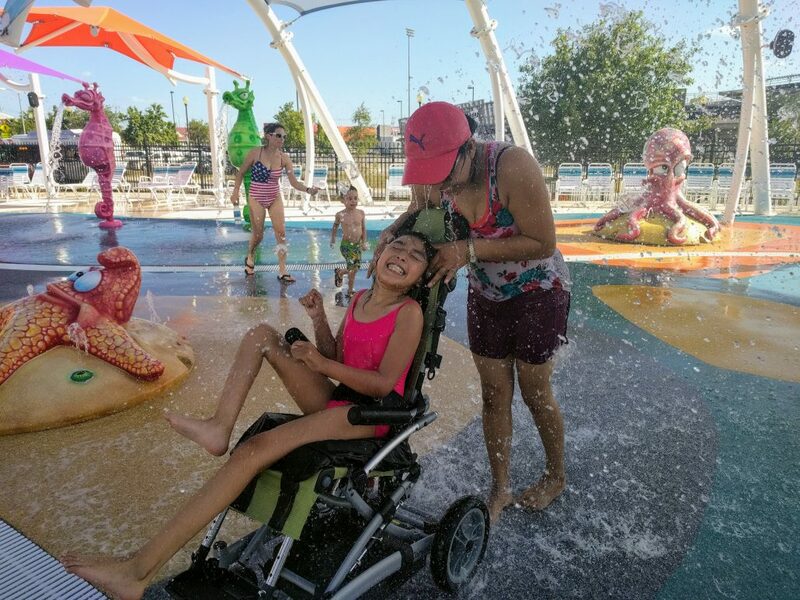 Carver was among the first to try out the new chairs, wheeling it around the oversized splash pads at Morgan’s Inspiration Island, getting a refreshing soak on the 100-degree day. (The wheelchair isn’t pictured here, as it had to be recharged with an air compressor). How did it feel, Sam? Does the chair feel like the one you’re used to?